WTF?! 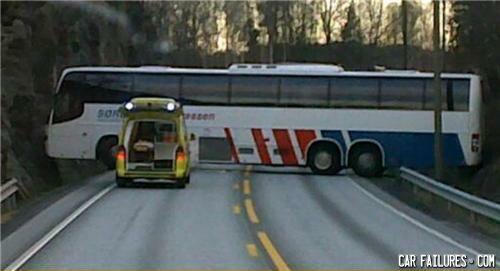 How that bus can stay like this? Um, where did the passage to Narnia go? Women bus drivers....the unnatural phenomenon.